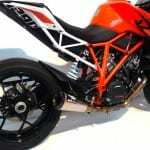 As one of the most anticipated bikes in recent years, KTM’s all-new 1290 Super Duke R was launched in a whirlwind of marketing hype. 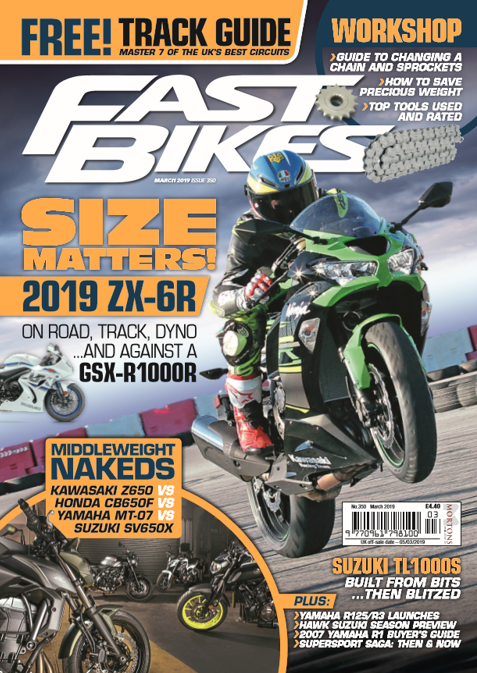 Photos of ‘The Beast’ were filtered into the public domain and, along with Jeremy McWilliams stunting and smoking up the hill at Goodwood FoS, the prototype severely aroused the biking world. 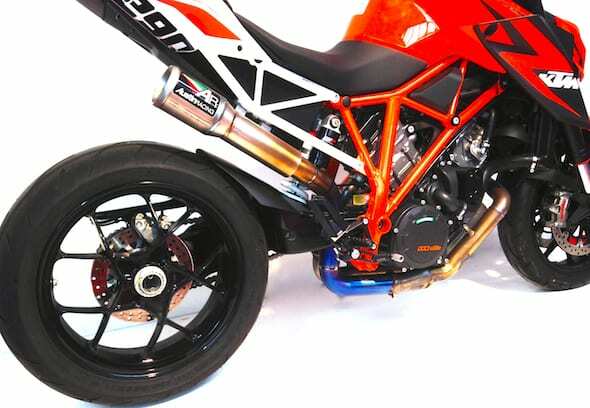 For some, the eventual production bike was a little too far removed from The Beast, mainly due to road necessities (those pesky lights and reg-plate holder) and emissions laws: the OE exhaust isn’t exactly pleasing on the eye, hiding KTM’s hard work, engineering and gorgeous rear wheel/swingarm assembly. Thankfully, there’s Austin Racing. 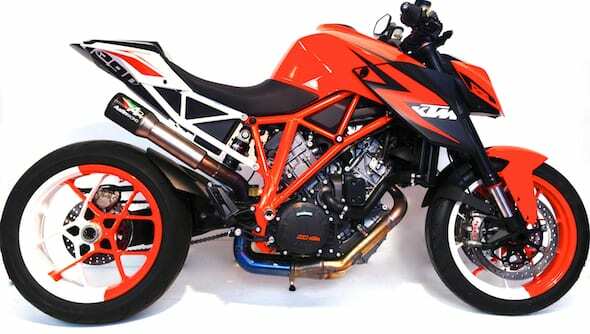 The south coast-based performance manufacturer has released a few upgrade options, including this hi-slung GP1 de-cat system that mimics the prototype’s ‘zorst. 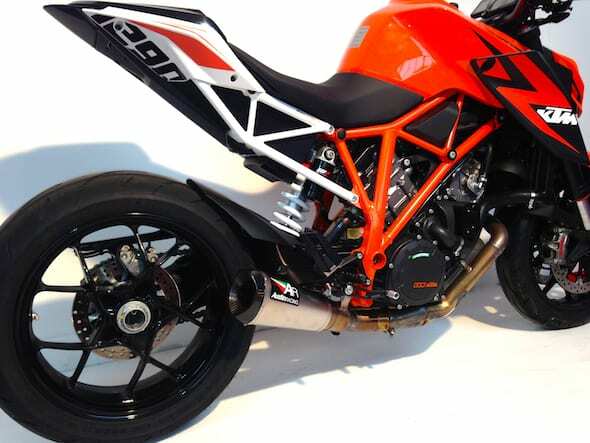 Owner Rich Austin grabbed one of the first 1290s in the country, and got straight to developing a range of exhausts. Although unmapped, the dyno shows gains of 5-6bhp at peak power and a hefty midrange increase. At just under a grand, that’s bang for your buck and a dollop of eye candy. 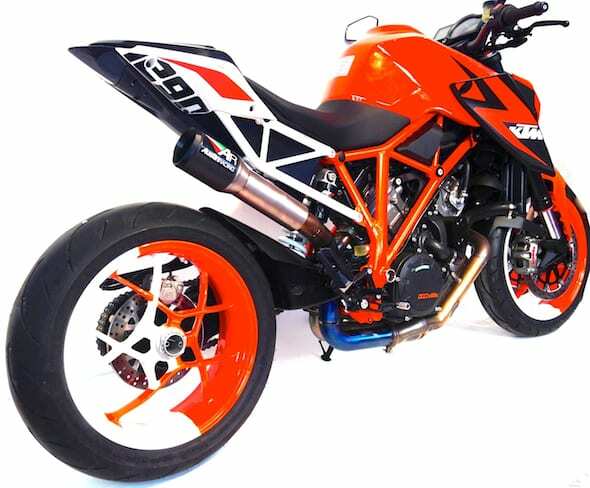 The low-level option is priced at just £599, which allows the pillion pegs to remain intact. Both systems come with a choice of end caps, with varying noise levels.